Privet is a very common hedging shrub in England. It is found in oak woodland and pastures and likes a sunny spot. 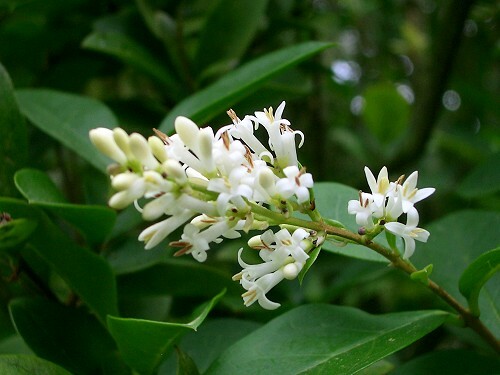 The leaves are long and leathery. 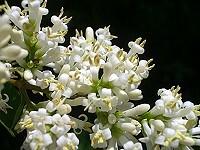 In June/July, it bears white flowers that are rather like a small lilac. These are followed by small black berries.